Our little Wood Chunks website has been selling our home grown wood for some time now to the point where our regular customers kindly bring samples of their fare which is very much appreciated (hint, hint) . 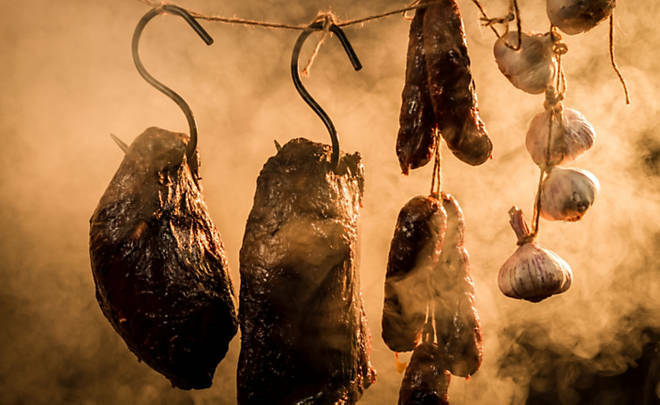 Food smoking is an art and from my experience, each ‘artist’ likes to understandably select the materials that they have found gives the best results for them. Some want small wood chips, others want large lumps or even big logs. Then there is the debate about whether the bark should be on or off and the difference branchwood or heartwood makes to the flavour of the food. 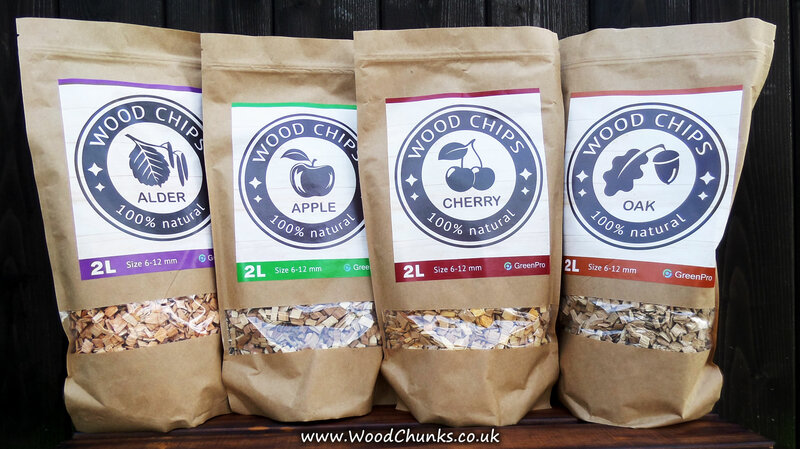 To supplement our home produced wood chunks we have today added a range of wood chips which come in 2ltr re-sealable packs. Graded to a size between 6mm and 12mm chip size, Apple, Alder, Cherry and Oak chips are now in stock. Along with all our speciality wood chunks they are available to collect (by appointment – we don’t have a shop) from Hesketh Bank (PR4 6) in West Lancashire but these packs are especially suitable for mail order so it will be interesting to see how this develops.